Nishma Palan is a home baker who has been baking from her home in Ghatkopar East since December 2016 under the moniker Elysium Patisserie. A baking enthusiast from an early age, she’s been making cakes since her tenth standard. Then she went to London where she trained in baking and came back to start her own venture after a brief internship with a leading five-star hotel. She specialises in customised cakes. But what we truly love from her entire collection are the cakesicles. Intrigued? Read on. Elysium Patisserie does everything – basic cakes, customised cakes, cupcakes, and cakesicles, which is literally the cherry on top for us. 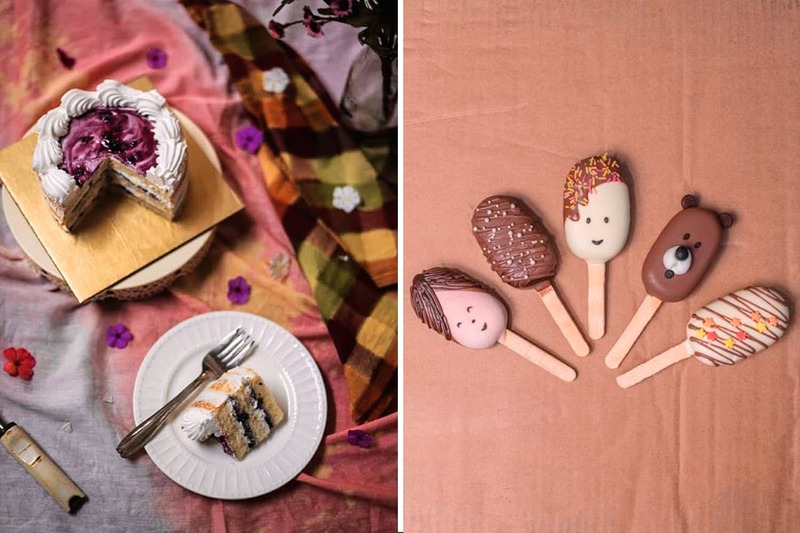 She bakes these all by herself with a little help from her small team. The basic cakes start at INR 500 for half-a-kg and INR 900 for a one-kg cake which can be prepared within 24 hours. In case you want fancy cakes (prices go up to INR 1050 for a half-kg), you will need to give her a three-day notice, so she can seamlessly handle your demand. If you look at her Instagram page, you will get a fair share of designs to choose from – there is a minion cake, a superhero cake, beautiful wedding cakes, cakes fit for random celebrations – or you can give her your own design and she will be happy to bake exactly what you need. A massive plus is that she avoids using fondant as far as possible which makes sure the taste remains intact. She also makes cupcakes priced at INR 50 per piece. But what stands out are the cakesicles. When asked where she learnt to mount cake on a stick, she said she learnt it from a Malaysian chef. These start at INR 100 and go up to INR 150 per piece, depending on the customisation. She is happy to take bulk orders too, but a minimum of a week’s notice has to be given. You can place an order on her Instagram page, or her Facebook account, or directly reach out to her on +91 8369603387. Once the order is placed, you can either go pick it up, or she couriers it across Mumbai for an additional charge of INR 150. Occasion or not, cakes are always a great idea. Why not reach out to Nishma Palan, and book your cake today!